So many people are texting these days, and it isn’t just friends and family. Businesses small and larger are using text messaging to reach their customers in real-time. But, many people fail to realize there is another great use for text messages, and that is for internal communications. Using text message marketing for internal communication at your business ensures that individuals get the message in a timely manner. It is much faster than email marketing, and has a number of benefits that include ensuring all messages are read. Here are six ways to use text marketing for internal communications. Forgetting an important meeting is something that an employee wouldn’t likely purposely do, however, with busy lives filled with non-stop activities, it is easy for the meeting to slip the mind. When text marketing comes into play, however, those slips are few and far between. You can easily send out a reminder of an important meeting right before time for the meeting to start. There are many different situations that could arise which would require an organization to shut down for the day. There can also be emergencies that employees need to be notified of in a timely basis. In these situations, nothing is faster than a text message to convey these important messages. Your employees will feel safe and secure knowing that they are going to be notified of such events at the drop of a dime, and you can also have peace of mind knowing that your message is getting through loud and clear. Finding a good employee is often best done on the inside, since you already have individuals that you know and trust working for you. When a new position becomes available, you can increase the chance of finding the perfect person to fill the position when you send a text message to make current employees aware of the opening. In addition to recruiting employees from within, text message marketing can also be used to benefit you when searching for employees on the outside as well. You can easily have potential employees respond via text message and opt-in to receive updates concerning new openings. 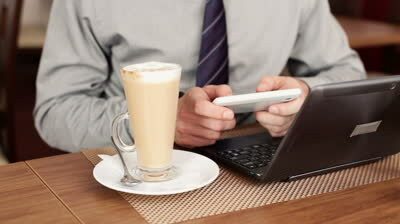 If you have employees who do not always work in the office, you can easily reach them via text message. Since you do not have to call them, you can ensure that you are always able to reach them no matter what kind of message you need to send. If you want to plan for company events, why not save time and hassle and do it with text marketing? There isn’t a simpler or easier way to gather opinions of your employees through text messages.